Santiago, Chile & Tokyo, Japan - August 16, 2016: NEC Chile (NEC), a leading provider and integrator of advanced IT, communications, networking and biometric solutions, along with NEC Corporation, announced today that it has been selected by the Las Condes Municipality, Santiago, Chile, to integrate a complete residential security solution based on a "panic button" alert system. This system is scheduled to launch by the end of September 2016. 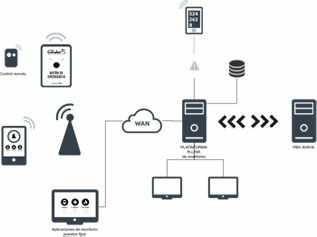 The NEC Chile Panic Button Alert System Solution was produced jointly with RLink, an Argentina-based software developer specializing in the security field. The technology provides increased security though a GSM/GPRS module that is tamper resistant and ensures that the system's Central Station Monitoring Center is only notified by signals from transmitters in the home. Instant notification of authorities with the press of a button - When an alarm is activated, the NEC Chile Panic Button Alert System Solution instantly begins coordinating an appropriate response. 24/7 Central Station Monitoring teams and pinpoint GPS location - The solution notifies a Central Station Monitoring team of an alarm's activation and provides the team with important household details. When a house is under threat or in danger, the security teams know who, where, and what is required for an effective response. 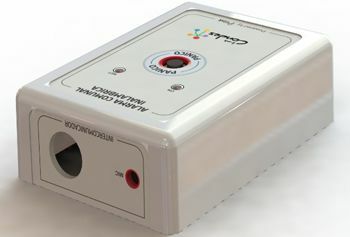 Instant audio monitoring - As soon as an alarm is activated, an open channel begins to listen and record the activities at a household. This is a valuable tool for determining the most effective response for a threatening situation. Customized reports regarding system operators - The NEC Chile Panic Button Alert System Solution generates reports with an overview of the field workers responsible for the safety of a residence. Reports are entirely customizable and available in all major file formats and can be exported, shared, emailed and printed at the click of a button. "Congratulations to our Municipality Councilors on this historic step, which aims to provide a security net for thousands of residents who face distress situations in day to day life," said Mr. Francisco Javier de la Maza Chadwick, Mayor of Las Condes. "Moreover, I would like to thank NEC Chile and its partners for bringing their experience and knowledge to this project. We are the first municipality in Chile to have provided such a system, which will act as a formidable deterrent to potential perpetrators." "NEC is pleased to be part of such a highly valuable project," said Mr. Gabriel Martinez, General Manager, NEC Chile. "Team work and the strong efforts to integrate this solution with a variety of partners have been determining factors in being awarded this venture, which we regard as clear recognition of NEC's leading position as a technology integrator."